(P1) A man has a bad accident. The accident destroys his face. He feels very bad about how he looks. (P2) A second man is in a car accident. He dies. His family donates his face to the first man. 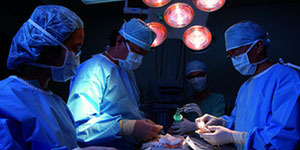 (P3) The first man has surgery. It goes very well. He now has a new face. Our bodies usually reject new body parts. His body does not reject the face. (P4) The sister of the second man meets the first man. She is happy. She says that she sees her brother. Have you ever been in an accident? If so, explain what happened? If you died, would you want your face donated? Why or why not? Have you ever had surgery? If yes, where on your body?